According to the CDC, this year’s flu virus has reached epidemic proportions. Simply translated, that means you’re going to come face to face with contagious germs pretty much everywhere – like it or not. If you’ve ever been sick with the flu, you know it is a most dreadful experience to be avoided with all seriousness. In the course of our day helping sick customers, Steve and everyone else at Nature’s Pavilion come face to face with flu germs all the time. Yet we successfully avoid getting sick. We wanted to share our personal tips that we use to deal with even the worst of flu seasons. And if you are sick – things you can do to get out from under it quickly. 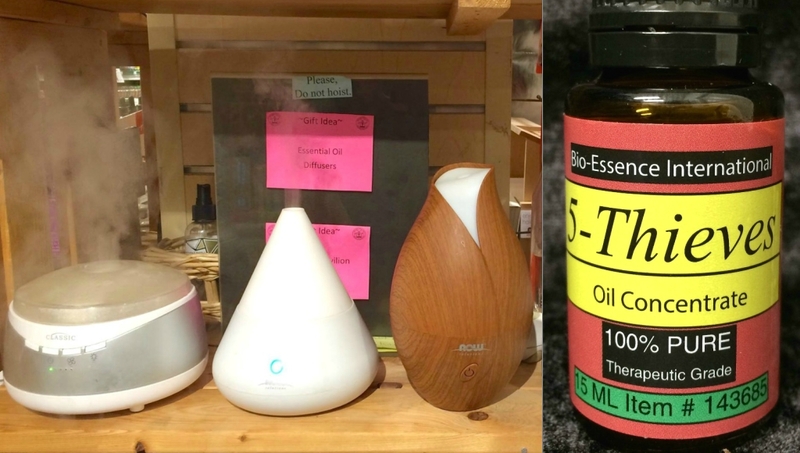 5 Thieves Oil used in a diffuser will spread a pleasantly-scented mist throughout any room. This neutralizes and kills germs in the air on contact. We do this every day in the store, and it works. We also recommend rubbing thieves oil on your hands, or other areas that may come in contact with others. Some advise taking thieves oil internally – however, we do not. Boosting your immune system with these things is important. If you’re already sick with the flu, these items will break it fast. Come see us in the store for personal recommendations, or for more information about how each of these items helps the body. We’re always glad to help!